A law firm tied to former Trump campaign chairman Paul Manafort's international consulting work has agreed to pay $4.6 million and register as a foreign agent. 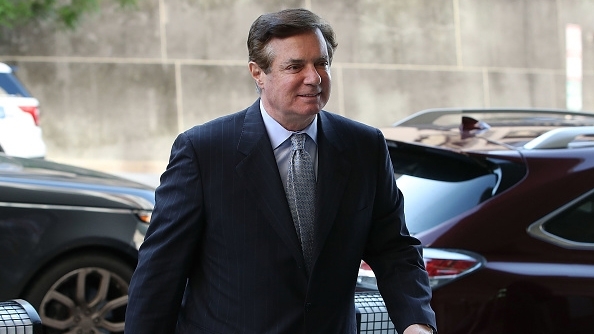 WASHINGTON (AP) — A law firm tied to former Trump campaign chairman Paul Manafort’s Ukrainian consulting work has agreed to pay more than $4.6 million and publicly acknowledge that it failed to report its work for a foreign government, the Justice Department said Thursday. The civil settlement with Skadden, Arps, Slate, Meagher & Flom LLP, one of the largest law firms in the world, brings to a close at least one part of a probe that developed from special counsel Robert Mueller’s Russia investigation. Mueller’s team has delved deeply into Manafort’s years of work in the eastern European country as it investigated possible coordination between Trump associates and Russia in the 2016 election. The investigation into Manafort, who now faces years in prison, also entangled several prominent firms, lobbyists and lawyers, including former Skadden partner and Obama White House counsel Greg Craig. They were all involved in some form of foreign lobbying or public relations work for Ukrainian interests that the former Trump campaign chairman sought to conceal from the U.S. government. The 44-page settlement agreement contains a damning narrative of Skadden’s conduct and that of a senior partner who is not named but matches Craig’s description. According to the agreement, Skadden acknowledged that in 2012 it acted as an agent of Ukraine by participating in a public relations campaign for a report it authored for that country’s government. The report sought to prop up the legitimacy of the prosecution of former Prime Minister Yulia Tymoshenko, a political foe of Viktor Yanukovych, the country’s president at the time and a longtime Manafort patron. In 2012 and 2013, the public relations campaign drew the attention of the Justice Department’s Foreign Agents Registration Act unit, which opened an inquiry into whether the firm should register under the law. But the settlement says a senior Skadden partner made several “false and misleading” statements to the government that allowed the firm to avoid registration. Though the Ukrainian government initially said the law firm was only paid $12,000, the Justice Department settlement says Skadden was actually paid more than $4.6 million. That money came from a Ukrainian businessman, who paid the firm through an offshore account in Cyprus controlled by Manafort. The law firm will now have to register and pay the $4.6 million fine, which equals the proceeds of the Ukrainian work. The firm also agreed to make available current and former partners and other employees for questioning by investigators, including before grand juries. It wasn’t immediately clear what the settlement means for Craig, the lead author of the Tymoshenko report. His lawyers did not respond to calls seeking comment. Federal prosecutors in Manhattan, as part of a referral from Mueller, have for months been investigating Skadden, Craig and two prominent Washington lobbying firms to determine whether they had knowingly violated FARA as part of their work for Manafort. Prosecutors in recent months have questioned witnesses about Skadden and separate lobbying work carried out by the two other firms, the Podesta Group and Mercury Public Affairs. Prosecutors have been interested in the actions of prominent Democratic lobbyist Tony Podesta, who is the brother of Hillary Clinton’s former campaign chairman, and Vin Weber, a former GOP congressman, among other executives at the firms. Podesta and Mercury, who lobbied members of Congress and arranged U.S. visits for Ukrainian political figures, have denied any wrongdoing. Skadden previously surfaced in the Mueller investigation after one of its attorneys, Alex van der Zwaan, pleaded guilty to lying to federal investigators probing the firm’s Ukrainian work. Van der Zwaan, a Dutch citizen who lives in London, served 30 days in federal prison. FARA, the statute at issue in the settlement, is a decades-old law meant to allow Americans to know when foreign entities are trying to influence public opinion or policymakers. The law, enacted in 1938 to unmask Nazi propaganda in the United States, requires people to disclose to the Justice Department when they advocate, lobby or perform public relations work in the U.S. on behalf of a foreign government or political entity. The Justice Department has stepped up criminal enforcement of the law, bringing several high-profile prosecutions in the last year, including several related to Mueller’s probe.